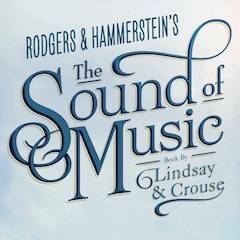 The Sound of Music, 7:30 p.m., Niswonger Performing Arts Center, 10700 state Route 118 S., Van Wert. Tickets: $35 to $75. Call the box office at 419-238-6722 or visit npacvw.org for tickets. VAN WERT — Rodgers and Hammerstein’s “The Sound of Music” will be performed at 2 p.m. Saturday, May 4, at Niswonger Performing Arts Center, 10700 state Route 118 S., Van Wert. Tickets are $35 to $75. Call the box office at 419-238-6722 or visit npacvw.org for tickets. Another show will take place that evening at 7:30 p.m. Tickets go on sale after 10 a.m. Feb. 7. This entry was tagged 050419. Bookmark the permalink.